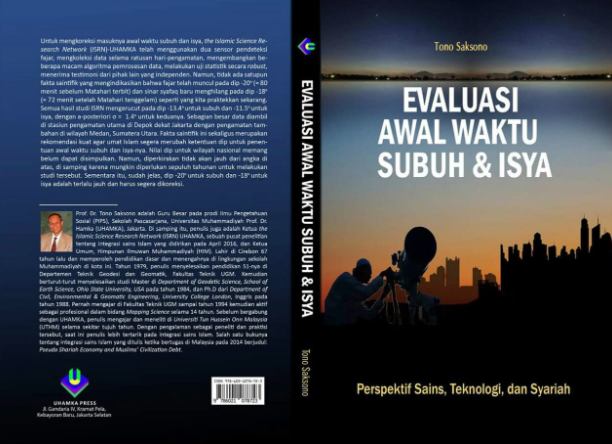 Riset ISRN-UHAMKA tentang awal waktu subuh dan isya telah kami anggap conclusive yang ditunjukkan oleh telah stabilnya hasil hitungan sun depression angle (dip) sejak kami menggunakan 28 data (hari) sampai dengan 206 hari untuk subuh. Sedangkan untuk isya, dip juga telah stabil sejak kami menggunakan 28 hari sampai dengan 153 hari. Ini berarti, secara statistik, sample telah merepresentasikan seluruh populasi. Untuk selanjutnya, fokus penelitian ISRN akan dialihkan pada penyusunan pola penyebaran twilight global, di dunia. 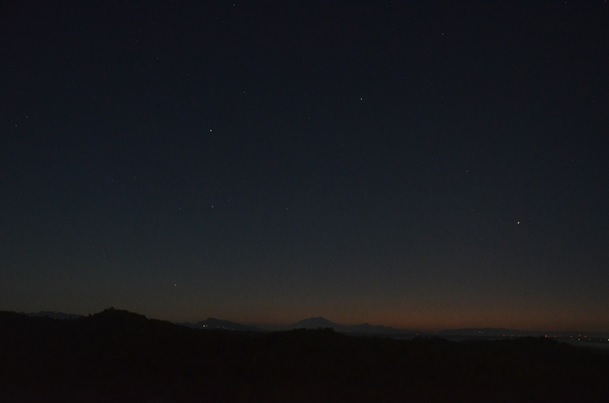 For long, some astronomers have a presumption that the light pollution (in addition to air pollution) might delay the presence of dawn. In this fifth video, based on the real astronomical data, we proved that the presumption is groundless. ISRN-UHAMKA used an SQM to collect the sky-brightness data in two different places in Yogyakarta on May 5 and 6, 2018. The data collection took place in two different places, Krakal Beach and Panguk Hill when the moon phase was a waning gibbous moon, only 4-5 days after the full moon. The estimated dips from the SQM data on these two days were -16.7 degrees and -15.1 degrees, in spite of the fact that the sky was highly light polluted. The illuminated parts of the moon were 78% and 70% respectively. The above-mentioned dips are much deeper than the average dip of -13.3 degrees estimated from 206 days of the SQM data. To verify the results, we used a high-resolution DSLR camera Nikon D5100 capable of producing an image with more than 16 million pixels. Some image processing techniques confirm the presence of the SQM's dawns. Therefore, the present Fajr call is really too early. Please, check the enclosed video. ISRN has been using four sensors to detect the presence of dawn to mark the commencement of the Fajr prayer for Muslims in Indonesia. The main instrument is a Sky Quality Meter (SQM) which records the sky-brightness data. In the first video, we demonstrated the use of 198 data for the Fajr and 149 data for the Isha to conclude that the dawn actually occurs when the sun is at the dip of -13.3 degrees, not at -20 degrees like what we have been practicing for tens of years. This simply implies that our Fajr call is actually about 26 minutes too early. On the contrary, the Isha call is about 26 minutes too late. The latter might not be as crucial as the former one. However, it is becoming dangerous for those who perform their Maghreb prayer too late because the timings might have belonged to the Isha time. In our second video, we showed a verification process using an All Sky Camera (ASC) to detect the presence of the real dawn, whilst in the third video, a verification process by an independent third party is explained. 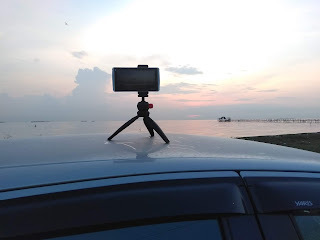 In this fourth video, we used a low-cost gadget camera to verify the presence of the real dawn. All these verification processes further confirm that the SQM detected dawn is compliant with the actual physical data. Please check the above video. On August 21, 2017, The Jakarta Islamic Center (JIC) in Jakarta invited us to present our interim results regarding the issue of the presence of dawn before an assembly of experts from different expertise. There were around 80 invitees which are generally sharia experts (hadith, interpretation, Islamic Astronomy, etc.). Two days later, on August 23, 2017, JIC sent its dawn observation team to photograph the dawn on Pramuka Island, Thousand Islands Regency. For this, the JIC observation team used an ordinary DSLR camera. This video explains the verification process by the third party. Visually, the JIC observation team did not witness the presence of dawn when the Fajr prayer call was echoed by the local mosque at 4:41, the official timing as suggested by the government. The team only confessed to witnessing the presence of dawn at about 5:15 which is about 14 minutes late as the estimated dawn using the SQM data occurred at 5:00:54.